Our goal is to provide experiential learning opportunities and cultural expansion for Optometrists and Optometry students while those in our partner communities benefit from a eye exam and treatment from a licensed medical professional. The World Health Organization has determined that lack of eye-care is one of the most crucial needs in developing countries. Because refractive needs and other eye problems don’t necessarily cause immediate pain, eye care is often under- prioritized when resources are limited – especially for children. 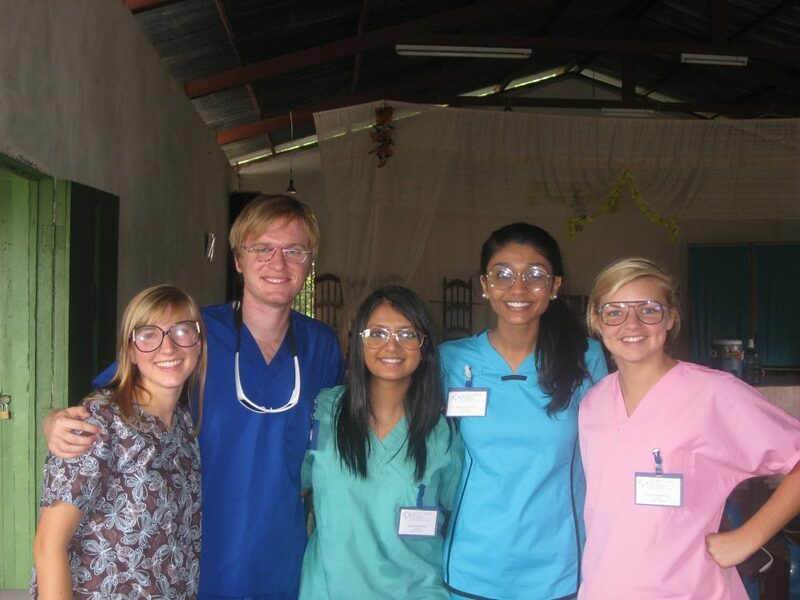 Through ISL, thousands of the underserved have received eyewear and eye care. 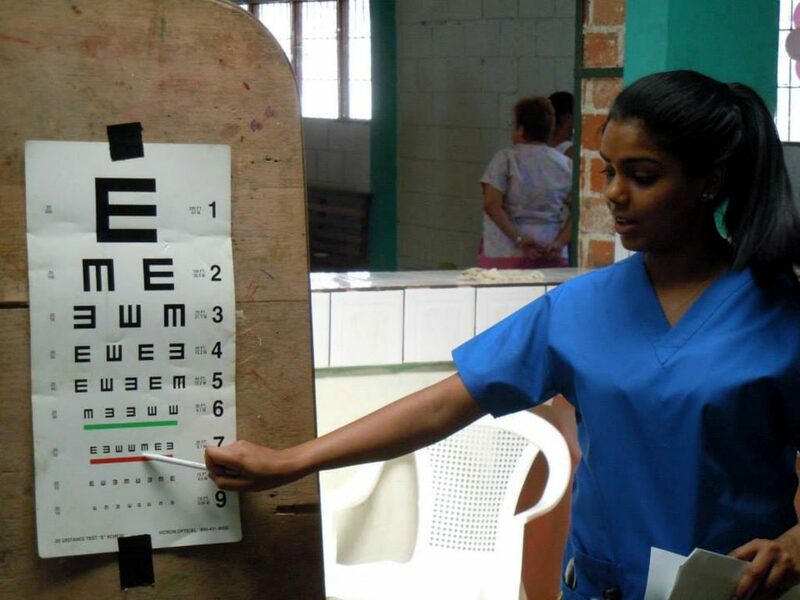 In order to provide both quality eye care for those in need and appropriate, supervised field experience for volunteers, ISL utilizes a combination of eyewear distribution, in-home screenings, community clinics, and ISL subsidized referrals, in addition to providing eye care education. Who Is Right For Optometry Teams? ISL’s optometry teams are ideal for students of optometry at all education levels. Pre-optometry students are welcome! Optometry students are a valuable asset to any ISL health team. Upon arrival in-country, you will be met at the airport by ISL staff. Your first day will be busy with orientation and intensive training seminars on topics such as basic eye health assessment and screening exams, visual acuity assessment, measuring pupillary distance, screening and measurement for possible refractive errors, eye health and safety (hygiene, nutrition, UV protection, and injury), criteria for referring patients to eye care professionals, patient interviews, measuring near/distance vision, pinhole occluder testing, screenings for binocular dysfunction, coordinated eye movement, limitations of visual field, color vision, pterygium, and Acanthosis Nigricans, use of the ophthalmoscope and retinoscope, and medical terminology (Spanish or Swahili). Learn to maintain and manage support equipment, inventories, and supplies, and provide basic eye care instructions. Play with the community children! In the evenings, you will participate in educational seminars on ocular issues. There will also be designated time for group reflection – time to discuss and express what you’ve experienced in your day’s community work, either formally or informally. Your team will visit homes and provide visual health screenings and invite those with acute concerns to a field clinic staffed by a local optometrist. At the clinic, you will have the opportunity to rotate through patient intake, basic screenings, and eyewear distribution stations, and actively observe the optometrist perform exams. You will also learn to maintain and manage support equipment, inventories, and supplies, and provide basic eye care instructions. You may choose NOT to participate in any aspect of patient care with which you are uncomfortable. ISL collaborates with in-country professionals and local Ministries of Health in order to determine how our volunteers can best impact developing communities. Level of volunteer participation is directly dependent on level of training. For example, each team has the potential for three levels of volunteer involvement: observer, assistant, and practitioner. Pre-optometry volunteers would fall into the “observer” category in terms of the examination/diagnosis/treatment process, but would be allowed hands on experience with non-invasive procedures such as patient intake and basic screenings, as determined by local Ministry of Health standards, while an optometry student might assist in the examination, diagnosis, and treatment process to the degree determined appropriate by local Ministry of Health standards. Our patients are protected from exploitation – we are discreet and respectful. We do NOT under any circumstances take photo of any procedure during a patient’s visit. Furthermore, patient rights must be respected at all times; Patients have the right to refuse treatment.